Home - Mu Nu Chapter, Omega Psi Phi Fraternity, Inc. Welcome to the official website of the "Mighty" Mu Nu Chapter of Omega Psi Phi Fraternity Incorporated. Brother Donald Williams (Beta Chi, 1989) is the 25th Basileus of the Chapter. 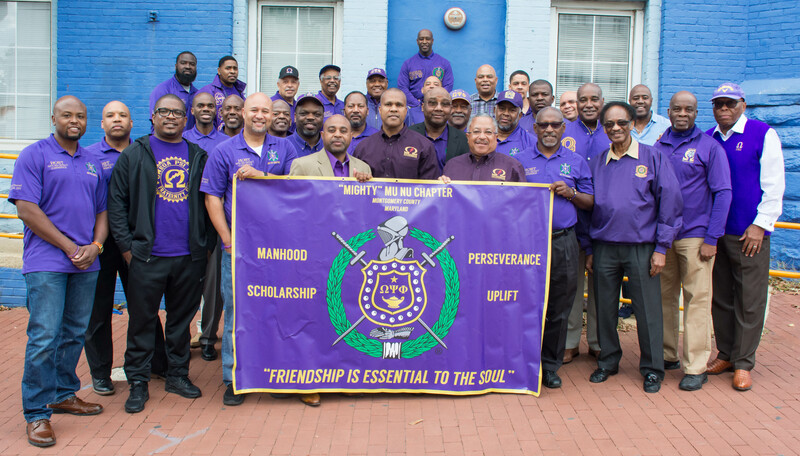 "Mighty" Mu Nu Chapter was chartered in 1970 in Montgomery County, Maryland. Since that time, we have served tirelessly for our immediate community, county, state of Maryland, Second District of Omega Psi Phi Fraternity, United States, and all of mankind worldwide. We took off our walking shoes…and put on our marching shoes. WalkAmerica is now March for Babies…and it’s going to be better than ever! We sincerely hope you’ll participate in this important fundraising event. In fact, America’s babies are counting on it. The March of Dimes champions the needs of moms and babies in your community and around the nation. The money that you raise through March for Babies will support lifesaving research, community services, education and advocacy that help babies get a healthy start. So put on your marching shoes and get ready!